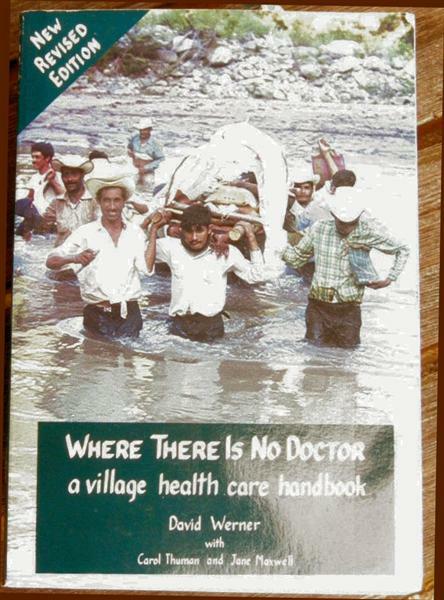 This well known book describes the realities of health and treatment of ailments in developing countries. It departs from many traditional health care books in that a great deal of focus is on the most pressing needs of a community. It makes several valid criticisms of the Western Approach to medicine in these countries. The whole point is that these are all situations where there is no doctor and no expensive tests or treatments. The book focuses on preventative medicine and actions that can be taken to recognize maladies and institute available solutions. Instead of the medical team there is the local village workers and they must also deal with corruption, poverty , and politics while living in the community they serve. This line of thought is also examined more closely in the companion volume- "Helping health care workers learn" also by the Hesperian Society and also reviewed on our web site. This book like the other publications from the Hesperian Society are must-reads for anyone doing international relief. There are many good original ideas on international development that you may not find anywhere else.